We are ardent saltwater anglers at Pacific Angler. Our charter fleet consists of 3 Grady Whites and a 38 foot Uniflite. We have been featured in numerous TV shows and magazine articles. We are out on the saltchuck chasing salmon, lingcod, rockfish, halibut, prawns and crab all summer and winter long. When it comes to local saltwater fishing we know how to setup boats, what rods and reels to use, and what the hot lures are. 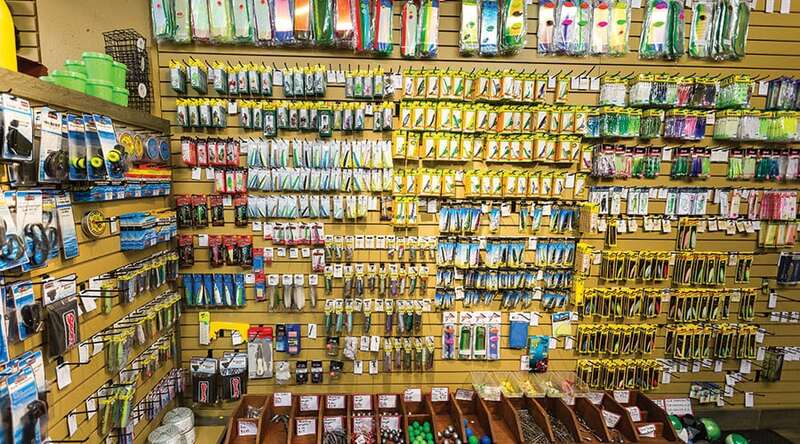 We have a full selection of salmon rods and reels, halibut rods and reels, downriggers, trap pullers, cannonballs, lead weights, crabbing & prawning gear, cleaning knives, fillet knives, flashers, spoons, hootchies, bait teaser heads, salmon jigs, plugs, bottom fish jigs, and halibut gear. We also keep our freezer well stocked with anchovies and herring in a variety of sizes. We even have salt for brining your bait and fish bags for your catch. 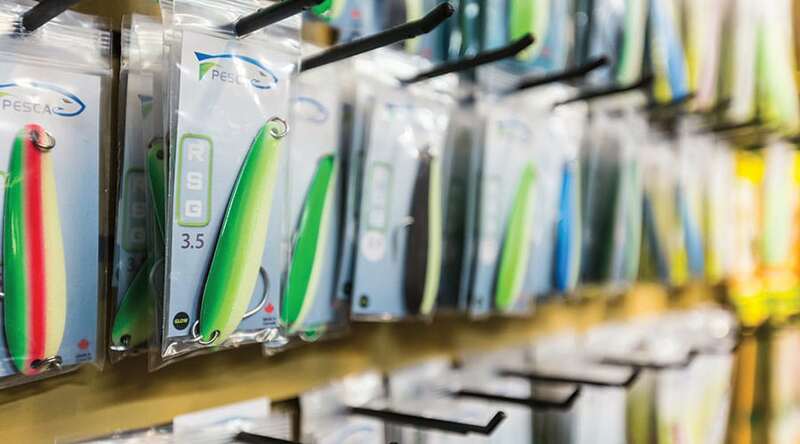 When it comes to catching salmon in our local waters, look no further, Pacific Angler is Vancouver’s salmon fishing pro shop with brands like Sage, Shimano, Fenwick, Daiwa, Berkley, Okuma, Abel, Islander, Scotty, Oki, Hot Spot, Gibbs, Delta, Rhys Davis, Pesca, Buzz Bomb, Zinger, Mac Deep, Silver Horde, Yamashita, Luhr Jensen, Tomic, P-Line, Maxima, Power Pro, TUF-Line, Flambeau, Trophy, Rapala, Victorinox, Pro-Cure, and Pautzke.